Artistic Flowers is proud to offer Lake Oswego flower delivery for funeral homes and throughout Portland, Vancouver, Washington, Beaverton, Hillboro, Lake Oswego, West Linn, and around the entire Portland Metro area. Our funeral flowers can be arranged any way you would like so that the funeral is exactly as you’d like it. We offer many types of funeral flower arrangements in all sizes, colors, flower types, and price ranges. Casket sprays, funeral tributes, funeral flower baskets, and many more options are all available from Artistic Flowers for funerals. View more of our Lake Oswego funeral flower arrangements and wide variety of funeral flower and sympathy flower options on our funeral flowers page. One of our expert, local Lake Oswego florists can answer any questions about your funeral flower arrangements, funeral flower budget, or general funeral flower questions. For A More Personal Service, Call One Of Our Expert Floral Designers At 503.635.6661. Artistic Flowers & Home & home Decor is a full service local flower shop, charming retail shop and luxury wedding florist. we specializes in custom floral arrangements. From the most grand celebration such as a wedding, company event or party to everyday bouquets for birthdays, anniversaries or “just because,” we will work closely with you to ensure every bouquet is unique and perfect for the occasion!! Call today to talk with one of our talented designers! We deliver throughout the Portland Metro area, Lake Oswego, Beaverton, Gresham, Vancouver, West Linn, and more areas around Lake Oswego, Oregon. Give us a call or order your flowers online! Our close relationship over the years with local and international growers allows us to carry a diverse selection of flowers, including tropical, orchid plants, high-end botanical and casual garden flowers. We also specialize in arranging custom silk arrangements to compliment your home or office. 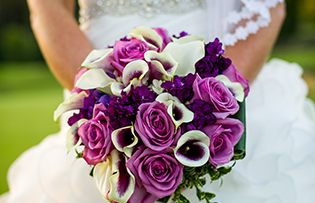 Artistic Flowers specializes in wedding flowers! We have been providing wedding flowers in and around Portland OR for hundreds of weddings of all styles, colors, and designs! 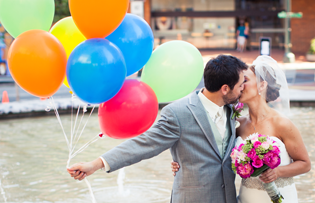 Our Portland wedding designers will work closely with you to ensure every detail is perfect for your big day! Our shop is located in Lake Oswego, just minutes from downtown Portland.